Blue Man Group (www.blueman.com) is a multinational media and entertainment company with theatrical and digital media operations across three continents, permanent live performance installations in six cities, an ongoing theatrical tour of the USA and Canada, as well as a highly acclaimed show on Norwegian Cruise Line's Epic. Blue Man Group is a wildly popular entertainment phenomenon that provides its audience with a unique and thrilling multi-sensory experience that fuses innovative theatrical spectacle and powerful original music with hilarious comedy, art, vaudeville and science to create a performance experience unlike any other. 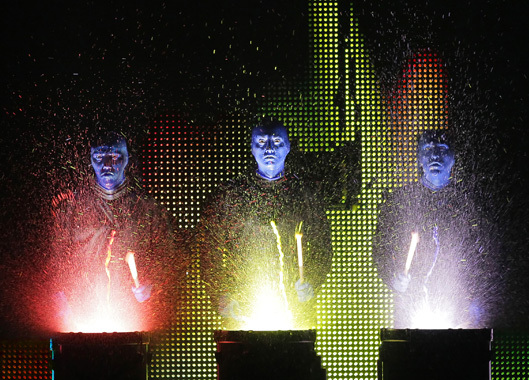 Mogami Cable helps bring Blue Man Group's immersive sight and sound displays to audiences worldwide.